Sometimes pronunciation deserves more than a passing correction or one-off task. In this workshop, we will see how pronunciation points can be worked on from various different angles, in coherent and enjoyable task sequences. 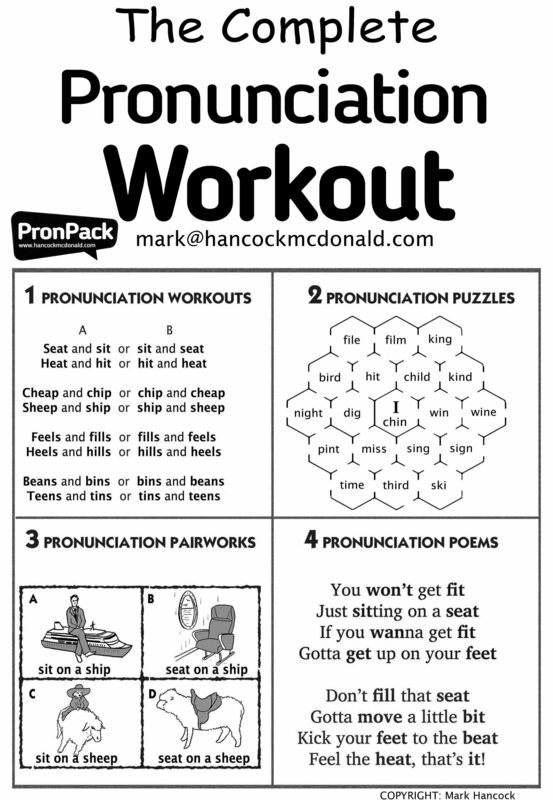 Participants will try out example activities from successive stages in one such pronunciation workout, and discuss how they may be adapted to their own teaching environments. 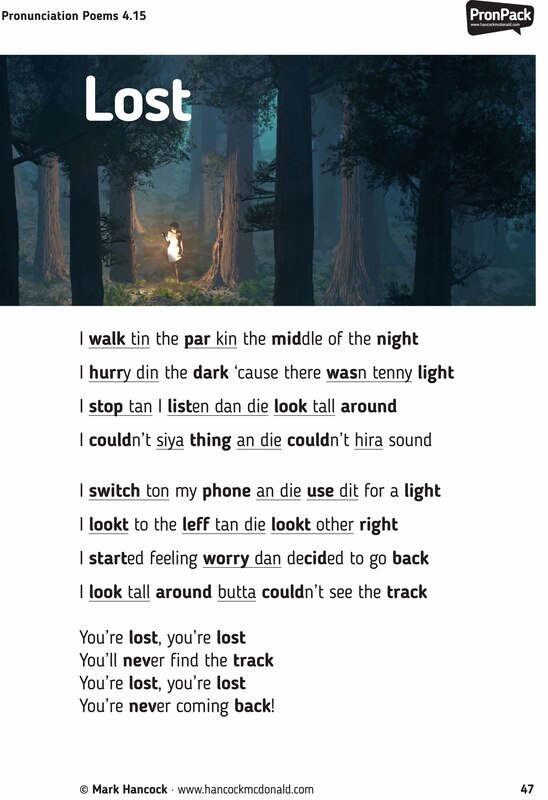 Find the lesson plan and audio for the rap 'Lost' here. Find information about forthcoming books related to this presentation here. Thanks a million, Mark, for sharing these materials so that this 12,000 distance to IATEFL feels smaller! Wish you all the best! Thanks for your support, Marina! it was very interesting to take part in your workshop at IATEFL. Thank you and all the best! Thanks Svetlana, glad you liked it. All the best to you too!